I think my love for owls goes way back to Plop. Do you know Plop? He's The Owl Who Was Afraid Of The Dark. But then he learnt that dark was exciting. And dark was mysterious. And sometimes dark was useful. It's one of my favourite children's books and since then I've adored the fluffy little birds with slightly creepy turning heads. Jill Tomlinson's book is a firm favourite on my bookshelf, especially if I'm having a bad day. 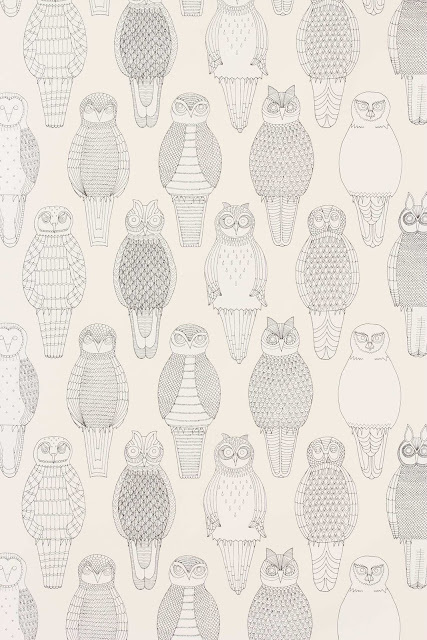 Abigail Edwards also likes owls and she's put them all over her Anthropologie wallpaper design. These are all owls from the British Isles. I love that there's a graphic, almost geometric style to the drawings. Actually, some of them look like they've got little pilot goggles on and that makes them infinitely cuter. Especially if you imagine them with posh British voices saying things like "Ten four, Roger that." 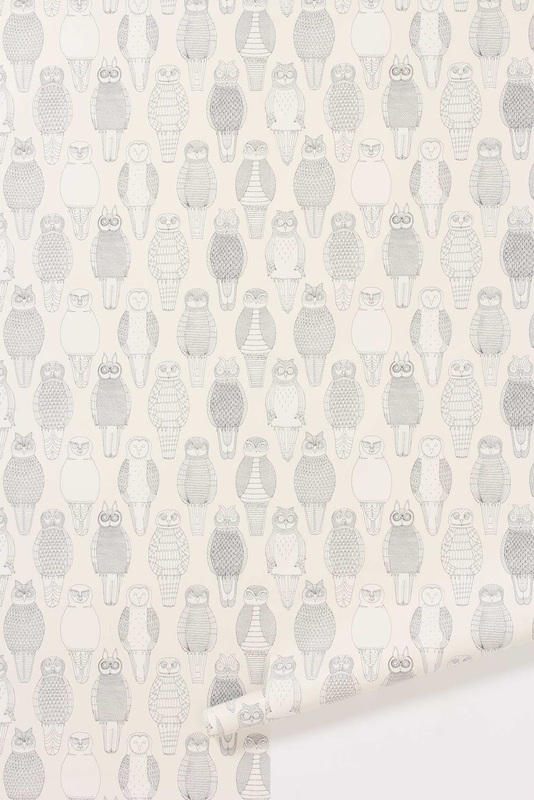 This is a gorgeous design, one that would work in any room (but I'm thinking hallway, for some reason). It's £108 for a 10m roll and it's definitely going on my 'Siany dream house' list. While I'm plotting ways to earn my millions, I might read about The Gorilla Who Wanted To Grow Up.